Pollock Pines is located in El Dorado County just east of Placerville on U.S. Highway 50. On the map, you'll find them between Lake Tahoe and Sacramento in the Sierra Nevada Mountains. It is situated near the South Fork American River and the Eldorado National Forest. In this town, you'll find magnificent forests of pine, cedar and oak, rushing mountain streams, deer and other wildlife in their natural setting. Pollock Pines also boast views of the majestic Crystal Range. 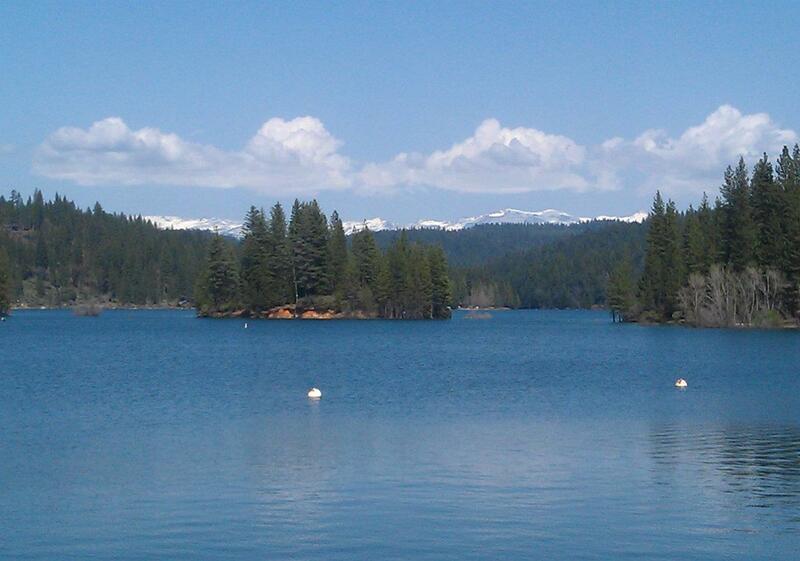 This area of the Sierra is ideal for boating, swimming, fishing, hiking, camping, and just relaxing. In winter, snow sports are nearby at popular ski areas and sno-parks. Fascinating California Gold Rush history permeates El Dorado County. Pollock Pines was the only overnight stop for the Pony Express riders. James Marshall discovered gold at Coloma, just a few mile northwest. The Wagon Train and Mormon Emigrant Trail passed through here. Annual reenactments keep our history alive. Four distinct seasons provide just the right amount of variety throughout the year. The elevation is 4,000 feet at Pollock Pines. Fresh air and clear skies are common. Placerville is a charming California "gold rush" town named after the placer gold deposits found in its’ river beds and hills in the late 1840’s. The City of Placerville is centrally located between Sacramento, the State capitol, and South Lake Tahoe, world- famous recreation center. Situated above the fog line and below the snow line, Placerville boasts an ideal climate with four distinct seasons. Accessibility to Placerville is via State Highway 49 and U.S. Highway 50, along one of the most traveled corridors in California. Placerville’s treasured heritage is reflected in the historical, nineteenth century architecture of it’s downtown core. In addition, Placerville is the County seat and the center of financial, commercial, civic, and Government activity. Serving as a "hub" for many nearby destinations and activities, Placerville is well situated. Premier wineries, Apple Hill Ranches, Historic Coloma, the American River, and the El Dorado National Forest are all located within minutes of downtown Placerville. The future of Placerville’s business economy will continue to be strengthened and infused by these established and newly developing areas of opportunity surrounding the hub. Within the hub, local merchants, property owners, and Government officials are striving to insure economic vitality for Placerville. These groups are working together on business improvement and revitalization projects to preserve, promote, and enhance the quality of life for all in the community. Location, climate, a rich heritage, and a high level of commitment and pride has allowed Placerville to emerge as "the destination" in El Dorado County. Perched in the Sierra Foothills at an altitude of 3200', among the orchards and vineyards of California Gold Country is the quiet village of Camino, CA. Camino is the heart of the El Dorado agriculture with 40+ family owned farms, orchards, plantations & vineyards. Home to the wineries and farms of Apple Hill, this logging community originally known as Seven Mile, is and has been a haven for homesteaders, loggers and weary wayfarers since 1858. The Concord stagecoach and wagon trains carried pioneers and supplies along the 'ol Carson Wagon Road through Camino from San Francisco to the Comstock Lode. The Pony Express exchanged riders and horses here when delivering mail between Sacramento, California and St. Joseph, Missouri. Tourists stayed at the Camino Hotel when traveling along the historic Lincoln Highway through Camino en-route to the Worlds Faire. We celebrate or history annually with the Hwy.50 Wagon Train and Pony Express reenactments. If you have real estate needs in El Dorado County, look no further. I want to earn your business. Call today.